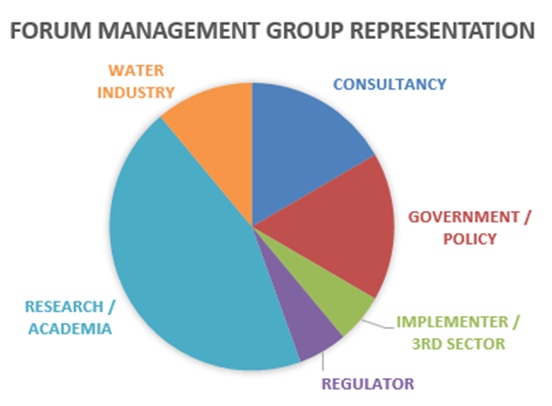 One of the aims of the Catchment Management for Water Quality Project is to support the development of a community of practitioners, policy makers and scientists to develop future questions and encourage joint working. The Community Forum was established to help identify emerging questions relating to policy development and implementation in the areas of water and air pollution through consultation across the community. Regulators: EA, NE, SEPA, NRW, NIEA etc. covering a range of catchment management technical areas e.g. modelling, flooding, land management etc. 3rd Sector organisations: e.g. representatives from NFU, CLA, Scottish Agricultural; College, Angling Trust, Rivers Trust (and the CaBA network), WWF, RSPB, CRT etc. Water Industry: contacts from the major water companies in the UK, as well as UKWIR and DWI. 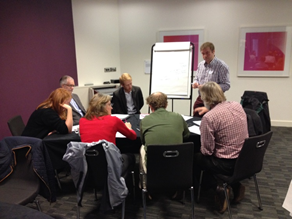 Initial consultations were held with a range of stakeholders, including policy experts on water, soils and biodiversity in Defra. Similar discussions were held with Scottish and Welsh stakeholders. Telephone interviews were held with a range of representatives from the EA, NE, and 3rd sector organisations such as the NFU, the RSPB, WWF, the Rivers Trust, and water industry contacts. 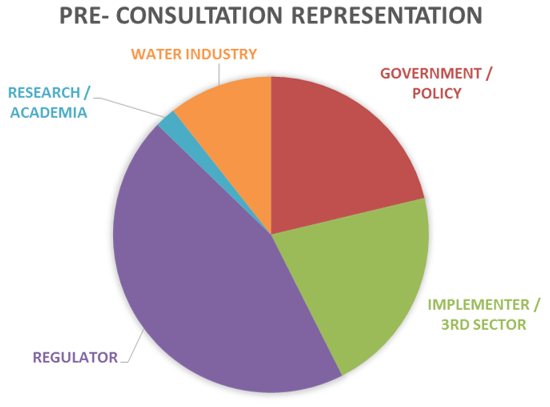 The pre-consultation discussions involved 47 people across 14 different organisations across the various sectors involved in water quality issues. The questions raised through in these interviews formed the basis of discussions with the wider stakeholder community in the Community Forum Workshops. The Forum Management Group (FMG) consists of 18 people from 13 organisations involved in the larger community forum. This smaller, more focused stakeholder group provides guidance and advice in the selection of questions, case studies, models and data that are included in CaMMP.